Ransomware is increasingly becoming a danger on the Internet. It affects millions of people and businesses on a daily basis. What it does is simple: It infects and encrypts all of your regularly used files on your computer, like Word documents, emails, pictures, and PDF files. Basically, anything that you need to operate your business. The only way to get these files un-encrypted is to pay a ransom in either Bitcoin, or using a MoneyPak card. These amounts range from $300 to $1.5 Million, depending on the business, or individual targeted. Occasionally, security firms, like https://www.decryptcryptolocker.com/ can sometimes help, but with the Billions of dollars surging in in ransoms, the terrorists are winning the battle. Even with good intentions, these firms are only able to unlock the files some of the time, as their ability depends on the version of the software you have been infected with. 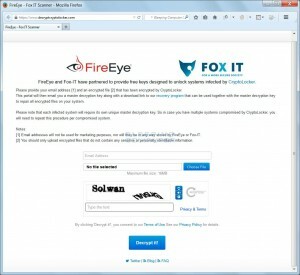 If you have a newer version, you may be out of luck, as the keys keep changing as more money surges in for research and development of this Malware. 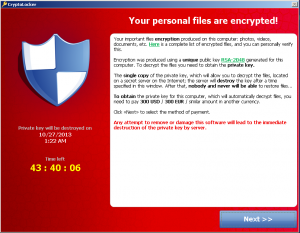 The worst part about Cryptolocker is that there isn’t anything you can do to stop it. No anti-malware, or antivirus will prevent it. The only protection you have is to back up your files on a regular basis. Even this strategy is becoming hard to keep you safe, as newer versions are seeking out networked drives, and attached hard drives and encrypting the files on these media as well. While an external hard drive is a decent stop gap measure, as long as you remember to unplug it when you back up is done, or even plug it in to back it up, your safest bet is some sort of cloud backup system. Take a look into Dropbox, or Carbonite. Both of these services are fine, unless you need to be HIPPA compliant. Here are Salem Technologies, we also offer a cloud backup that IS HIPPA Compliant, but we always will help customers regardless of their cloud backup choices. The bottom line is this: If you don’t back up your files, you WILL eventually become a victim of these scam artists. They are the equivalent of terrorists, Kidnappers of your business. While it may be temporarily cheaper to pay the ransom, this makes you a bigger target, as they now know you will pay up and target you again. The ransom lines the pockets of criminals and pays for research and development for bigger and badder versions of the software. Don’t let the terrorists win. Back up your data in a safe place, regardless of where you store it.